Remember when I used to do regular lingerie lust lists? Although I stopped those after a while, they were a great way for me to share the odd design here and there that I’d stumbled across and loved, but which didn’t really fit into any ‘themed’ articles I had coming up. 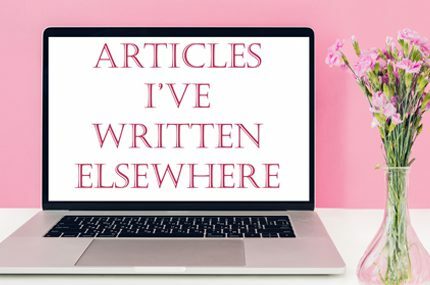 I’ve been sitting on some awesome discoveries that I’ve been meaning to write about, and so I thought I’d revive that in a slightly new format that just looks at one piece or set at a time – welcome to the first Lingerie I Love article! I came across the newly-launched V Cortesi Lingerie* whilst hunting down local lingerie brands – like me, owner Vitali Cortesti is based in Bristol in the UK, where she hand-makes her line. Her focus is on underwired bras, lightly padded with a hypoallergenic jerseyprene lining, and made from luxurious silks and jacquards. I was drawn to the set featured here today first and foremost because of the colour – I don’t remember when I last saw bronze lingerie! I love the warm, orange-y tone (another colour that’s under-utilised in lingerie), which goes perfectly with the golden lace appliqués that have been hand-stitched onto the bra. This is one of the few bras that currently comes with matching bottoms, and I couldn’t love them more. Crafted from sheer bronze tulle with the same golden embroidery, the hems have been carefully cut to follow the floral pattern for a shape that looks beautifully organic and will be different on each garment. The waistband on the French knickers is velvet, which can be made wider on request. Possibly best of all though is the size range. The bra is available in 34 to 44 bands and B to H cups, and the French knickers come in sizes XS-3XL. That is a seriously impressive range for a brand to launch with, even one that makes to order (all of those sizes still need to be graded and patterned), covering many core, plus and full-bust sizes. Larger cup sizes come with a wider bra band for added support, and it can be worn strapless or with straps as you prefer. This bronze design costs £105 for the bra*, or £150 for the two-piece set*, which seems like excellent value for money to me. The French knickers don’t appear to be available separately, but you could always email the designer to ask. What do you think of this bronze lingerie set by V Cortesi Lingerie? I agree, as a a friend of mine I am very impressed with her designs they are unique and incredible. She is a very talented young lady. So glad to see V.cortesi work recognized. Brilliant quality and exclusivity on her designs. Simply stunning! 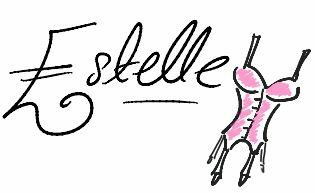 Thanks for introducing us to this brand, Estelle!